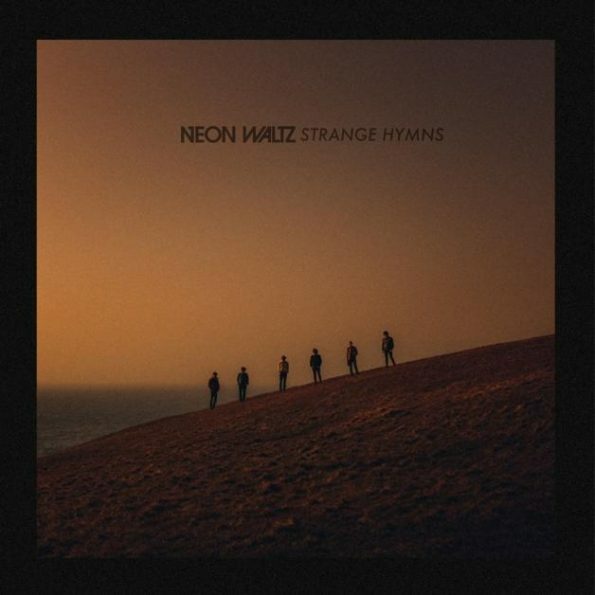 Neon Waltz – Strange Hymns. Caithness, at the extreme north of the Scottish mainland is not a place you would immediately associate as the home of one of Scotland’s most exciting Indie bands. It’s an area of extreme contrasts. The East border is provided by the Moray Firth, a sea that can be placid at times but when whipped up by the frequent winds becomes an angry snarling beast. The Pentland Firth to the North offers a constant demonstration of the power of nature, the surging tides as the ocean is seemingly squeezed between the mainland and the Orkney Isles making the narrow strait notorious amongst sailors the world over. Where the land meets the sea varies from gentle rolling beaches to towering cliffs. The land itself is one of our last great wildernesses, the beauty within its bleakness undeniable. 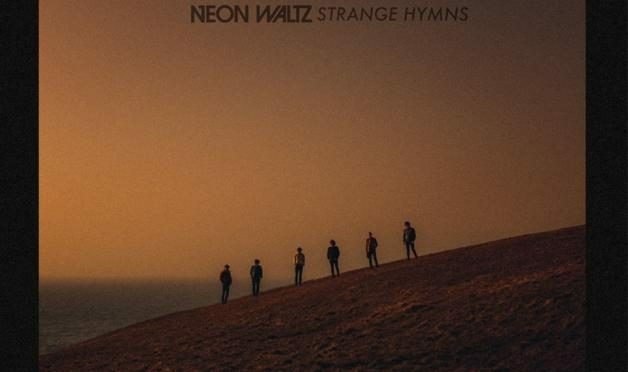 Yet when you listen to Strange Hymns, the debut album from Neon Waltz, you realise that it’s the only place that its creators could have come from. Opener ‘Sundial’ hooks the listener instantly, the first of ten tracks, none of which fail to demand attention. Full on aural soundscapes packed with swirling melodies sit side by side with more reflective dreamlike moments, the balance between the two never less than perfect. It’s a blend that reflects the landscape that the band grew up in. The music here is joyous, thought provoking and often beautiful. ‘Dreamers’ is an early highlight. It perfectly illustrates the bands ability to produce songs that are fresh and distinctive sounding. There is just so much to delight and surprise the listener over the course of the album. Quieter moments, such as ‘You and Me’ are totally captivating. ‘Sombre Fayre’ with its hypnotic opening continues to build over the course of four minutes before reaching a perfect and unexpected ending. ‘Bring me to Light’ is simply glorious, a wonderful slice of indie pop that is hard to resist playing on repeat. The same could be said of every track here though. On ‘Heavy Heartless’ Neon Waltz gift us a few minutes of seemingly effortless beauty, lead singer Jordan Shearer’s emotional delivery proving irresistible. Album closer ‘Veiled Clock’ maintains the high standards right up until the very end, a deceptively simple start allowing the song to grow steadily as the band leave us with an emotional finish. Some albums engage you instantly, others are growers, requiring several listens before their strength is fully revealed. ‘Strange Hymns’ ticks both boxes, its hook laden songs proving more potent with every play. It has to be marked down as a triumph. For more information including tour dates etc check out Neon Waltz on facebook. You can also do twittery stuff with the band here.